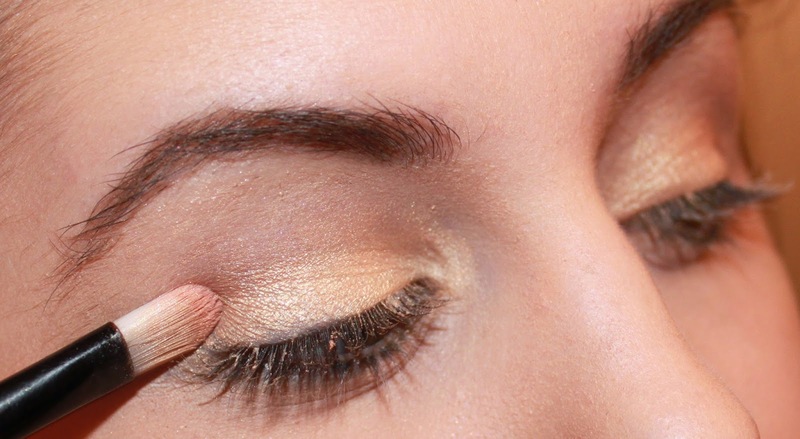 Hey everyone here is a step by step on how to achieve a soft golden bronzey smokey eye, which really brings out any eye color. Victoria Secret Bombshell Kit Makeup Trousse De Maquillage. If you don’t have this palette, try improvising with a similar color. 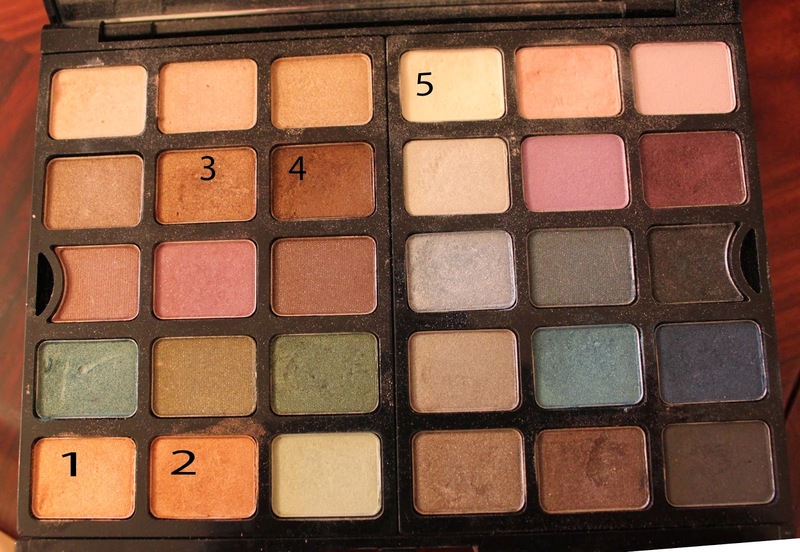 The palette has numbers 1 through 5, those numbers are the steps. 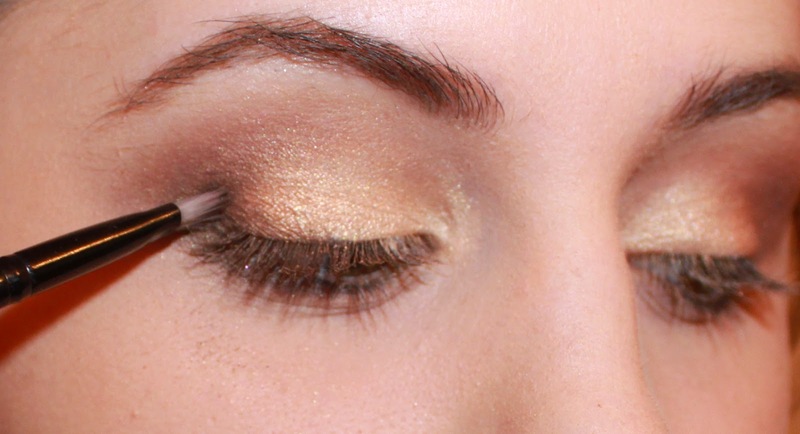 Step 2: Add the gold color to the outer part of you lid. This will be a transition shade to your darker color, we are going for a soft golden look. 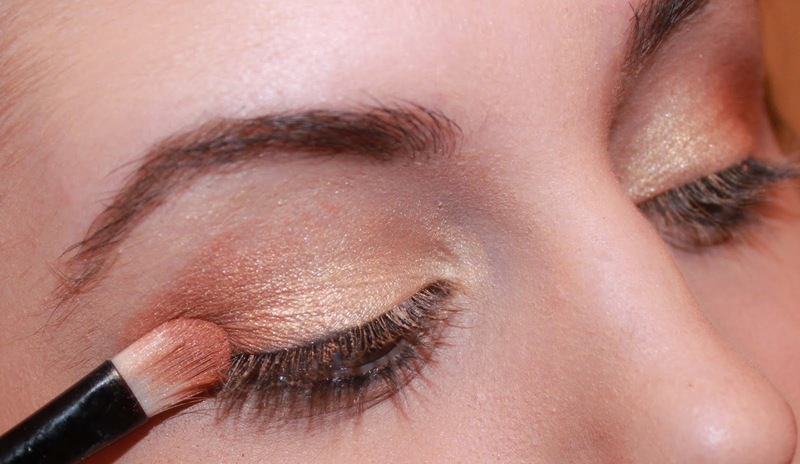 Its okay it if looks harsh at the moment, because once we add the darker shade we will blend, blend, blend,!! 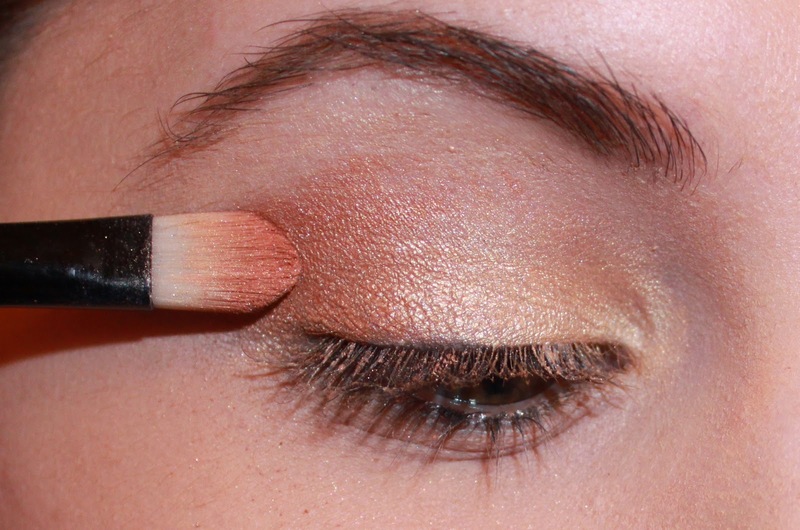 Step 3: Add a soft brown to the corner of your eye making a sideways v shape. I mixed 4 & 5 to get a softer brown because I didn’t want a harsh brown but 3 was too soft of a brown so you have to mix around you colors sometimes to get the perfect color you need. This is how it should look like. 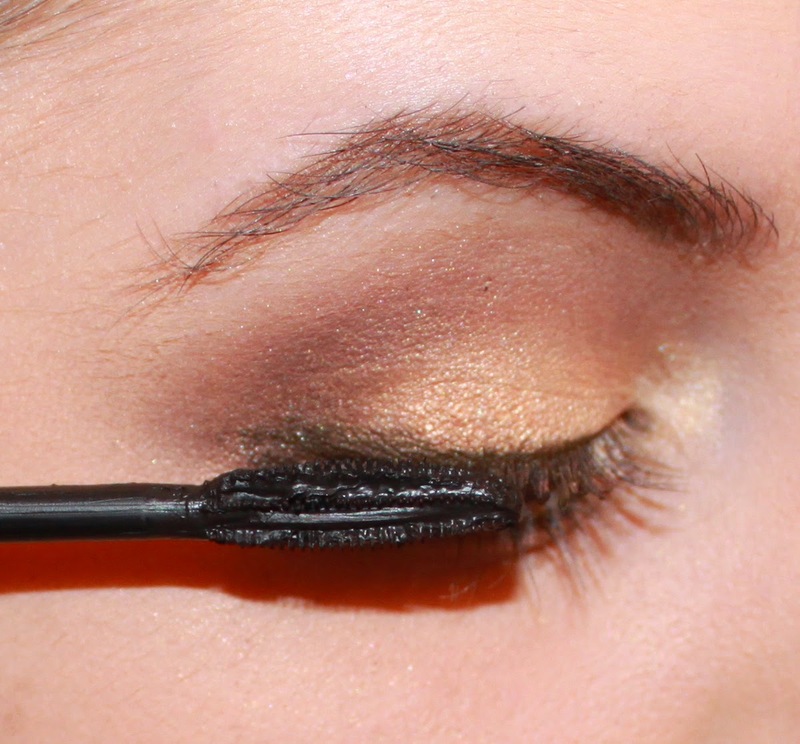 I already blended it our, and I used a windshield wiper motion, into the inner corner and back to the outer corner. Blend!!! 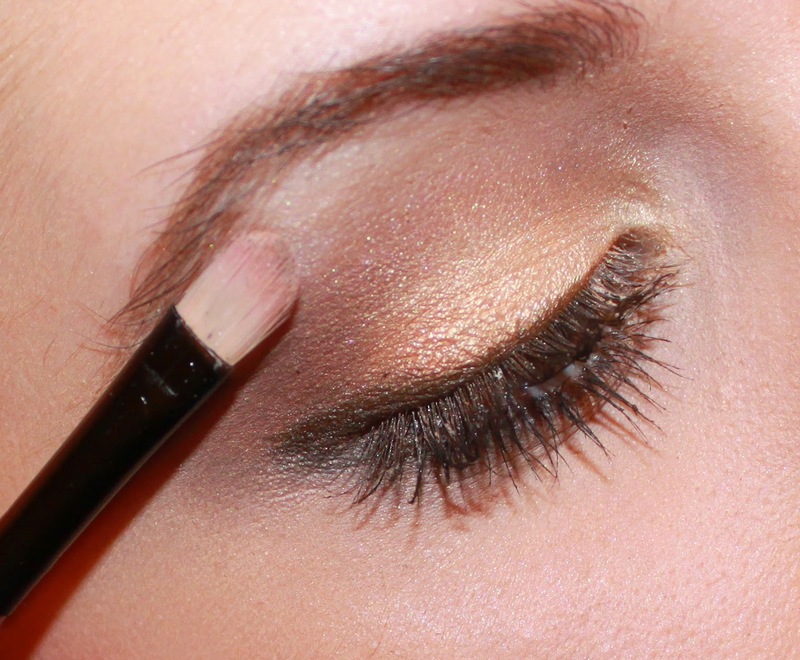 Till you have a soft crease! 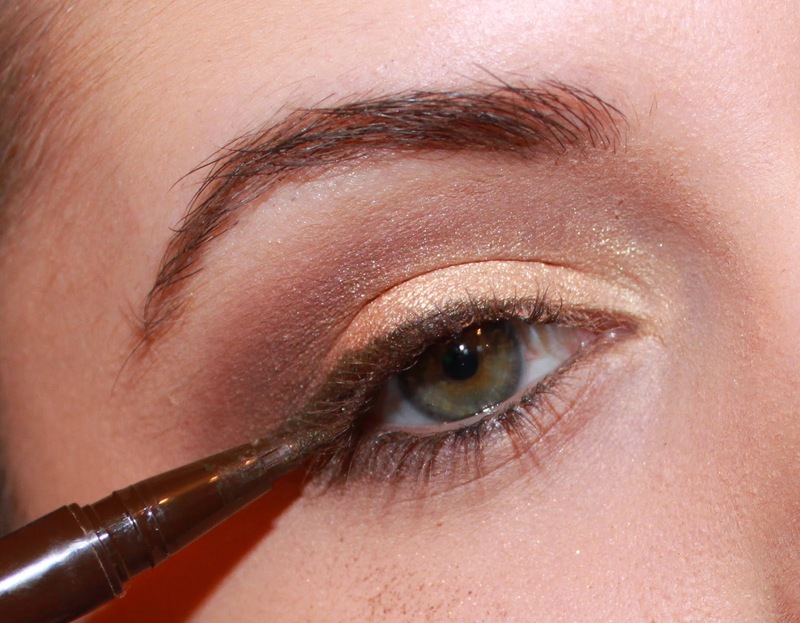 Step 4: Take the number 4 color and blend it under your eye! 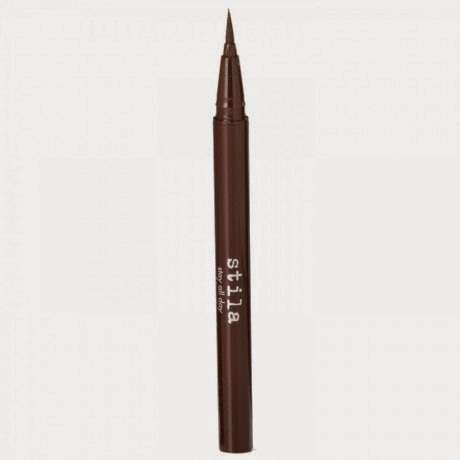 This creates a soft ombre effect, add that soft brown underneath you eye and for more definition add to the crease again and blend it out again. 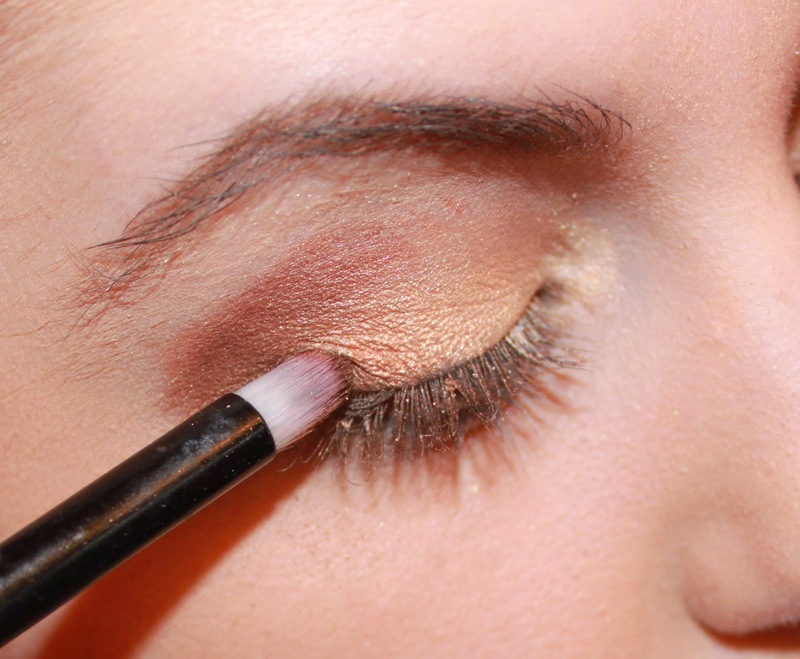 Then take that same excat color and use a small dome like brush and start shading it into your outer corner, shaping a sideways V. Then again, blend it out! This just makes your socket more defined. As you can see in this picture, I didn’t take the brown color all the way under my eye, I just took it way way and used a fluffy brush to blend it out. Don’t worry it wont make you look like you have Panda eyes, because this is a soft color and it opens up your eyes in a way. Trust me I have such small eyes! Then to make this eye look stand out a little bit more I added a brown eye liner, I used Stila waterproof liquid eyeliner. 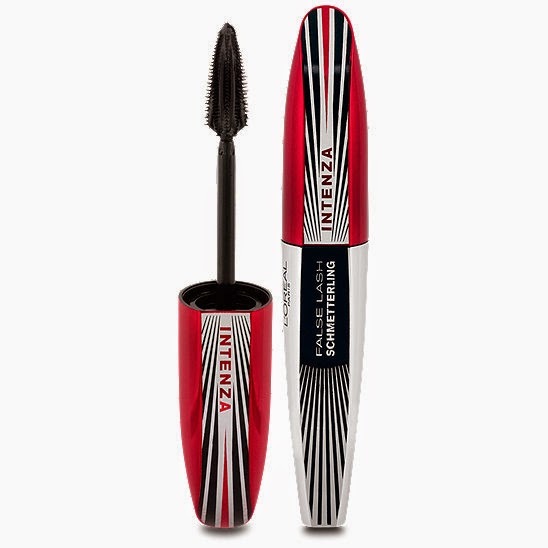 If you want you can skip this step and just add mascara. 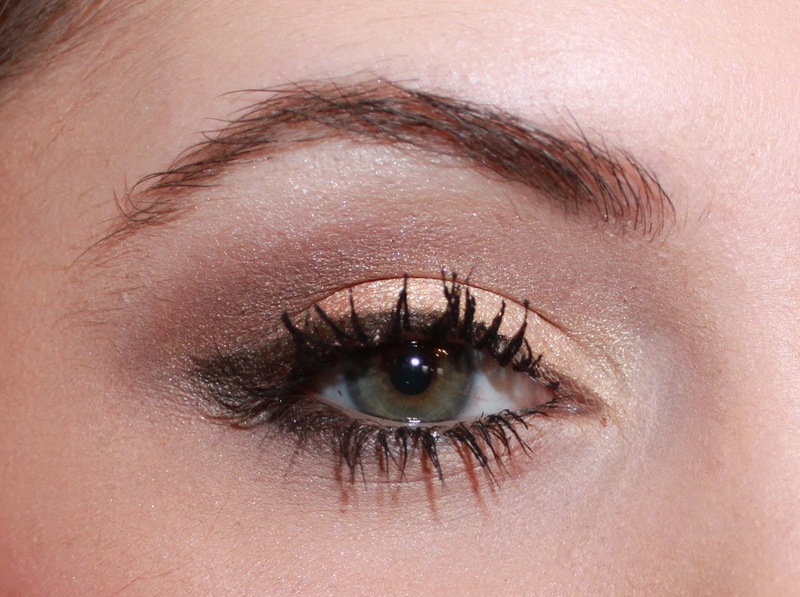 I didn’t add eyeliner in my water line, because I wanted to stick to a softer toned eye. 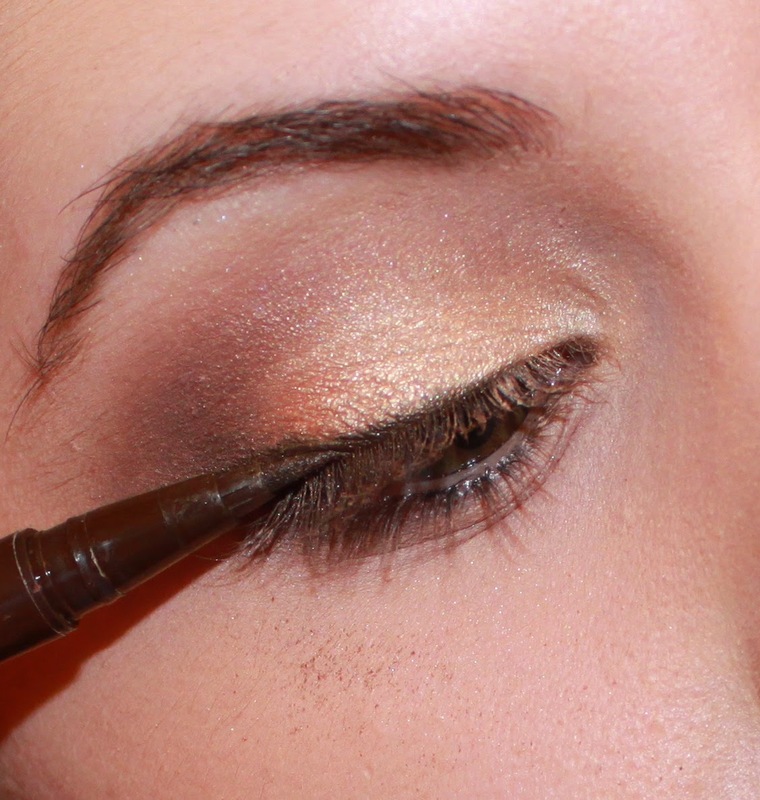 Step 5: Take a light shimmering shade and add on your brow bone! 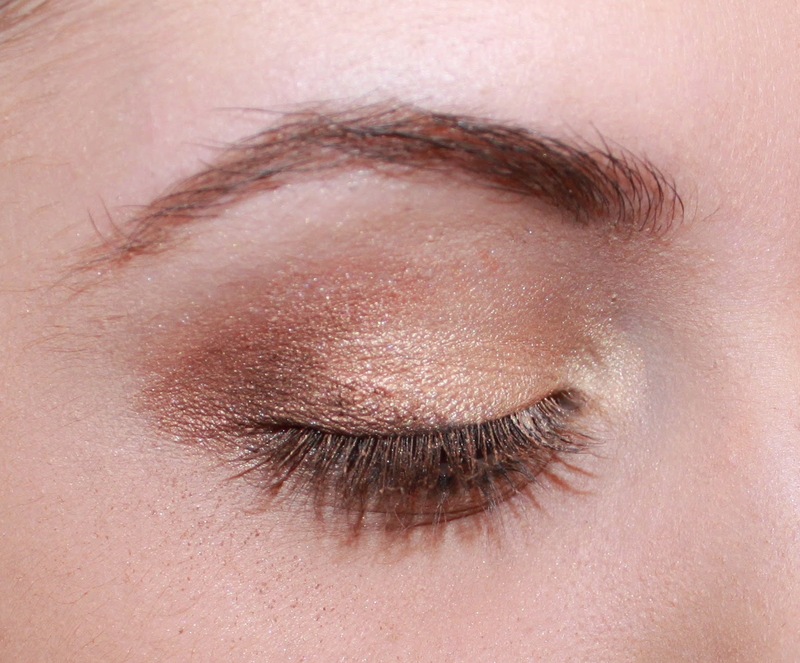 And Finally, add the foundation, concealer and etc… and our beautful Golden Bronzed smokey eye is complete. 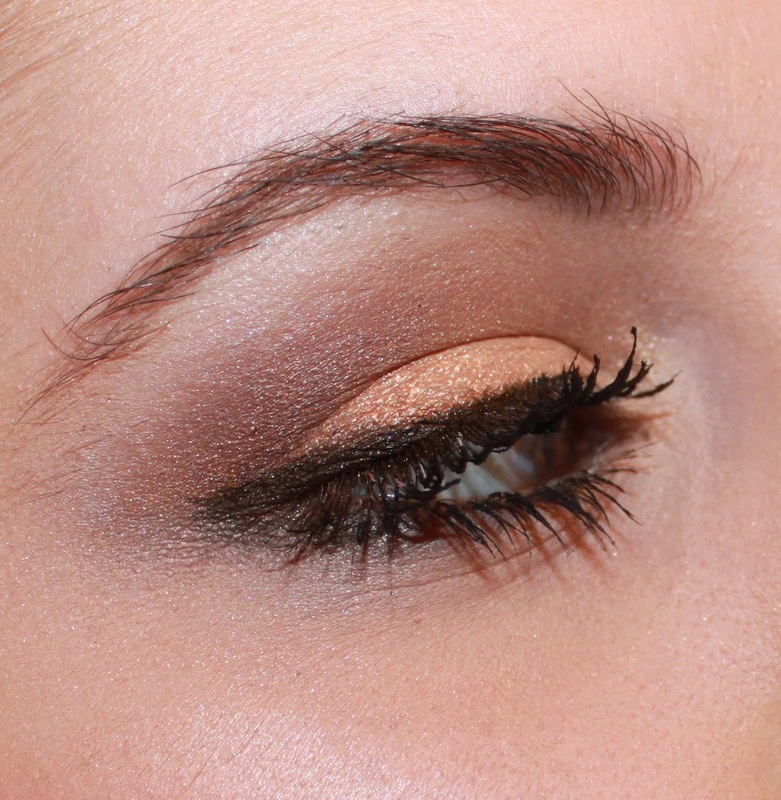 You can intensify this look by adding some false lashes and adding more brown or black to the crease or play it down and not add so much brown to the crease or even skip the liner. Hope you guys enjoyed this step by step!